This dashing rondel would be at home worn on the side of any noble. Probably one of the last designs of this form. 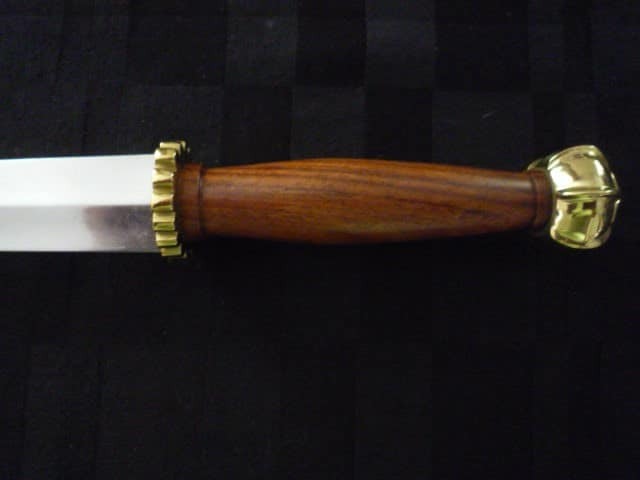 This spendid example was in widespread use for over two hundred years. 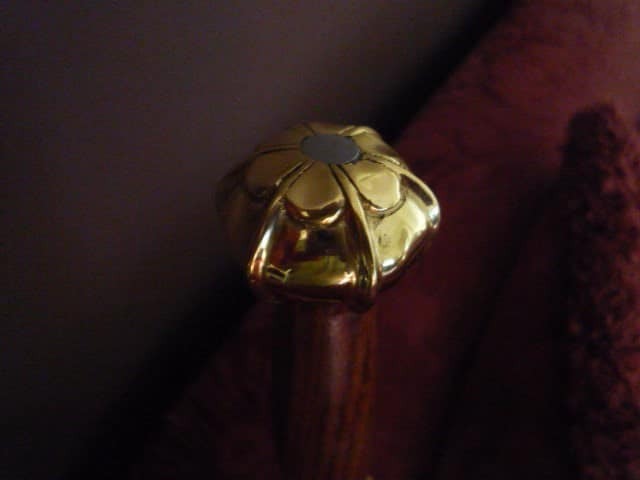 Highly decorative brass pommel with a circular guard that places it in the rondel family. 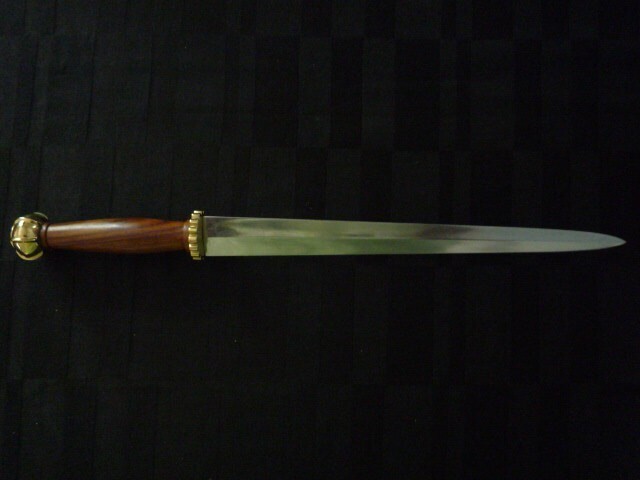 Polished hardwood grip with a long lightly hollow ground 31cm x 3cm blade. Overall length 44cm. Weight 0.5kg. 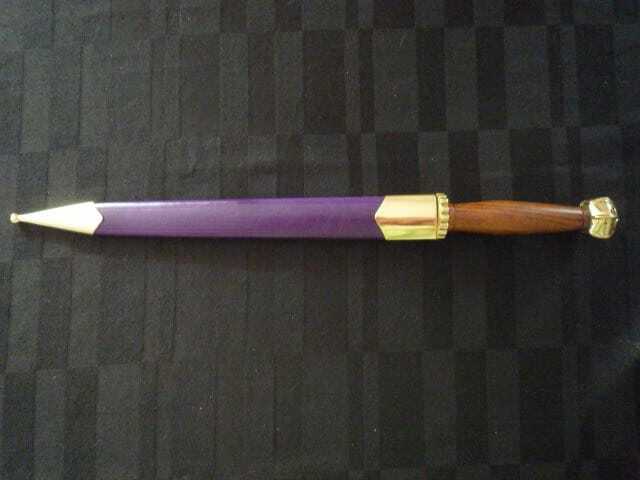 Includes a matching scabbard with brass parts.